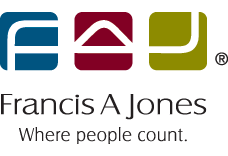 Francis A Jones are the Fremantle Self Managed Super specialists. Click here for a copy of our Financial Services Guide, and please read the information on this page in conjunction with the general advice warning at the bottom of this page. Managing your own superannuation through a Self Managed Superannuation Fund (SMSF) can help you maximise your retirement benefit and deliver tax benefits approved by the ATO. It doesn’t matter how old you are, you need to think about your superannuation now – and with more than half a million Self Managed Super Funds holding more than $550 million in assets, it’s no wonder more and more Australian’s are seeking the services of SMSF specialists like FAJ. Most Australians choose a superannuation fund and allow the fund managers to select which investments to make and which assets the fund owns. A Self Managed Super Fund allows you to take personal control of your superannuation. Your funds are not part of a pool (although you can combine your fund with that of your partner or spouse or other family members), and you can direct that your SMSF invest in property such as your business premises, or any other allowable investment that you choose. Transition to retirement strategies (which essentially allows you to withdraw super monies from age 55, and can lead to tax savings when coupled with a recontribution strategy). Why create your own SMSF? The rewards for investing in superannuation include a myriad of ATO tax concessions along the way. Many people fail to appreciate just how beneficial these tax breaks can be, and how the amount of superannuation that you have available at and during your retirement can be substantially increased by making the most of the concessions available. Choosing your own superannuation investment strategy also allows you to select your investments individually, or in collaboration with an investment advisor. You also have a greater investment choice including investing in direct shares, property, or more sophisticated investments. These investments may not be available to you in a public fund. SMSFs also provide better control over your estate planning strategies and have the ability to borrow (gear) against investment properties. At FAJ we specialise in SMSF set-up, strategy and tax efficiency, and we don’t conflict our relationship with you by providing investment advice. Many DIY super members are happy to make their own investment decisions, and there are many financial advisors who can assist with this if it’s required (we can refer you in the right direction here if you’d like us to). Our ongoing fees are charged on an hourly basis for the quality service you receive – they are not linked to the value of your assets, and we do not accept commissions. Our only interest in your super balance is the satisfaction of knowing you will be comfortable in retirement. Setting up and running a SMSF is not complicated. A SMSF is just a ‘structure’ and provided you comply with the rules, you get to hold the chequebook, buy and sell the investments, and bank the income. The complex part of a SMSF is getting the strategy right so that tax is minimised, members funds are maximised, and estate planning is simple and effective. And that’s where the team at FAJ step in to ensure you get to enjoy as much of your hard earned money as you deserve. We really are the Fremantle Self Managed Super specialists. Our team is experienced, highly skilled and ready to provide practical advice that you’ll understand. Visit our contacts page for more information. Any advice included in this section is general advice and has been prepared without taking into account your own objectives, financial situation or needs. Before acting on the advice, you should consider whether it’s appropriate to you, in light of your objectives, financial situation or needs. If you require personal product advice you should consult an appropriately licensed authorised financial adviser.